Everyone invited to come along whether competing or not, Grab a score sheet, or not, it's upto you. Events taking place over both venues throughout the day, with snacks at the bloc in afternoon /early evening. Boulder problems, top roping and silly stuff. 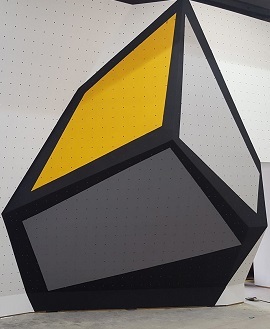 alien bloc is our new dedicated bouldering wall just a short distance from alien one . There is no requirement for previous climbing experience since climbing can be enjoyed with just climbing shoes and a chalk bag. There are over 500 sqm of varied angled walls from slab through to an outrageous 7 meter long roof. 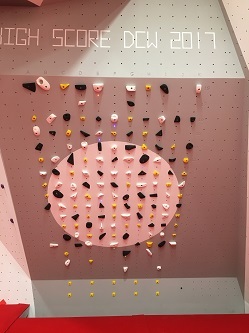 There are hundreds of different climbing "problems", more than enough to keep both novice and experienced climbers entertained for many visits. The handholds are a mix of permanent hand moulded features and colour-coded bolted-on holds. The "bolt-on" routes are removed, cleaned and changed on a frequent basis to maintain continual interest and endless challenges. All the climbing problems are above deep foam matting to cushion the landing should that last slap for the final hold miss. Even with a big mat present, climbers should ideally climb down from the top rather than jump , thus reducing the likelihood of injuries! Before climbing everyone needs to sign in either online or at the reception desk. Under 18s must have parental consent and unless a member, must be supervised at all times. For bus and travel information see the location page.